Saturday night, street walking toward the metro and when I turned the corner—it hit me. We had lost another. With a chorus of the usual complaints, the church had made it clear, they wanted the building gone. Preservationists tried to save the building, but short of a giant check, equal to that of the redevelopment opportunity there really wasn't much that could have been done. I just, hadn't realized that the death sentence had already come down. 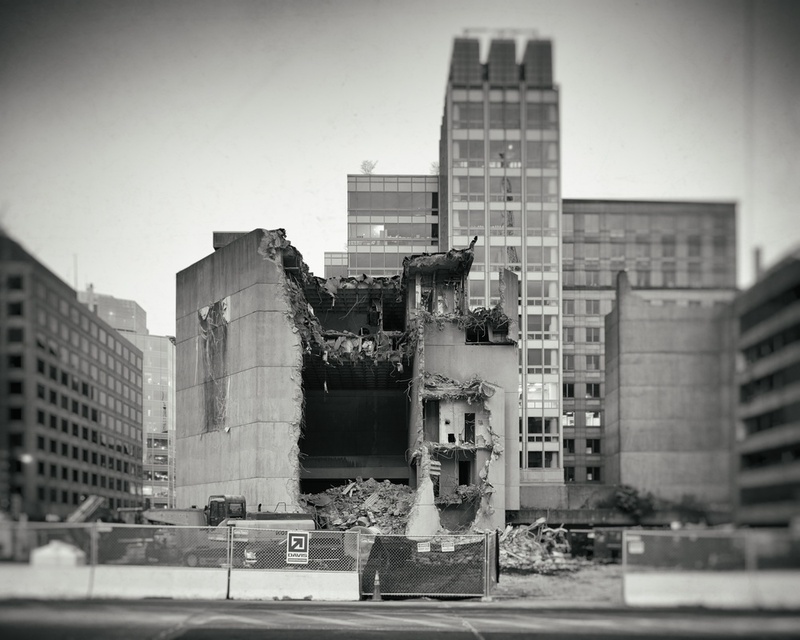 Third Church of Christ, was designed by Araldo Cossuttahas and opened in 1970 and in less than six weeks it will be no more. It seems to be getting harder and for modern preservationists to save these buildings. Most recently the Folk Art Museum, Richard Neutra's Gettysburg Cyclorama, Prentice Women's Hospital in Chicago, John Johansen's Morris Mechanic Theater in Baltimore and his theater in Oklahoma City...all lost. On Monday, I took the morning and spent some time with the building. I got there at 6am, they were already working. Sending wave after wave of machines at it. Basically gnawing on the concrete and then scooping out the mess. A crude process. There's an Angel there, yes? Am I crazy to see a beautiful abstract angel? Was that covered by a sign all those years? Buildings lead strange, uncontrollable lives after their creators give them life. Sometimes they are accepted by the world, either immediately or after an occasionally painful adjustment period. Sometimes they run amok. Sometimes, the villagers fight back with wrecking balls and fire.